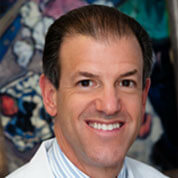 Dr. Cary Feuerman earned his D.M.D. degree with honors from Boston University School of Dental Medicine in 1983. He received several awards for outstanding achievement as a student, including admission into the Omicron Kappa Upsilon Dental Honor Society – a prestigious honor reserved for the top five graduating dental students. Dr. Feuerman also received his specialty training certificate in periodontics at Boston University School of Dental Medicine in 1985. He is an active member in many professional organizations, including the American Dental Association, American Academy of Periodontology, and Massachusetts Dental and Periodontal Societies. He is also a past president of the Metrowest Dental Study Club, an affiliate of the Massachusetts Dental Society. Dr. Feuerman has taught in the graduate periodontics clinic at the Boston University School of Dental Medicine, and continues to lecture on a variety of topics including periodontics, esthetic periodontal therapy, dental implant treatment, and bone regeneration. Dr. Feuerman is presently a co-director of the Periodontal Associates Study Club, founded in 1988, which provides continuing dental education for the local community of dental professionals. Dr. Feuerman has many interests outside of dentistry, and enjoys spending time with his wife, two adult children, and friends.